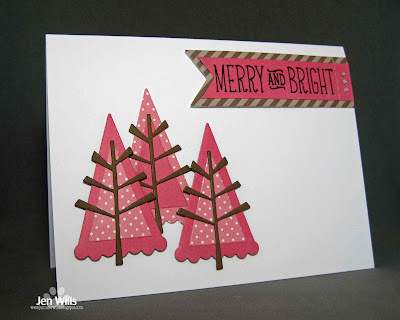 How cute are those polka dot trees, this is terrific Jen!! I LOve those trees, and can't wait to use them again ... thanks, Jen for the reminder! Darling pink polka trees! Oh I love those pink trees! They are so so cute1 so happy to have you playing with us at Time Out! These pink polka dot trees are definitely funky and fun! Oooooo...I love those pink trees!!!! Fabulous! Wonderful pink trees. I guess that is how they look in Bermuda? Thanks so much for playing along at Time Out.